Offer is for the Gold Punch, find the silver in our store! 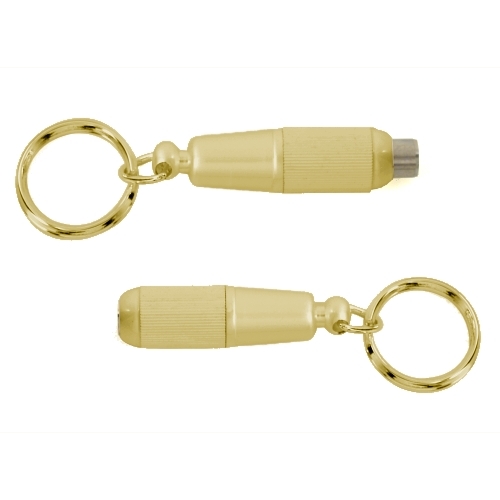 This classy gold colored punch keyring is so easy to operate. A simple twist extends the punch blade. Punch the end of your cigar and twist back to reset the blade . Resembles a cutter offered by Davidoff. It comes gift boxed, so consider this as a gift for someone special or better yet for yourself!